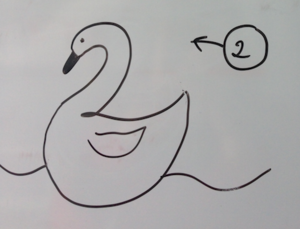 Another great doodle exercise is to take a number and turn it into an animal. And can you detect the number here? What a lovely zoo Beeta! 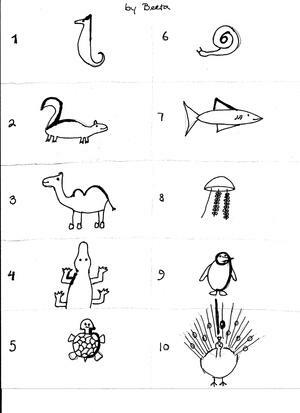 I can't decide which ones are my favourite, but definitely 8 and 10 are in the top! Thank you all! The most challenging one for me was no. 2. Because all I could think of was some sort of bird. Then all of a sudden I saw a squirrel in my backyard and viola!